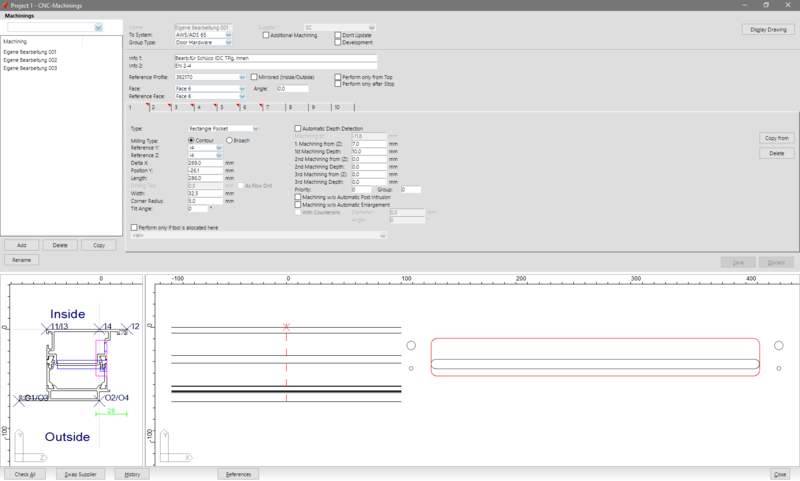 Individual machinings which are only needed for one project, can now be created project-related. Thereby individual solutions remain project-related and the database of standard editing maintains its clarity. 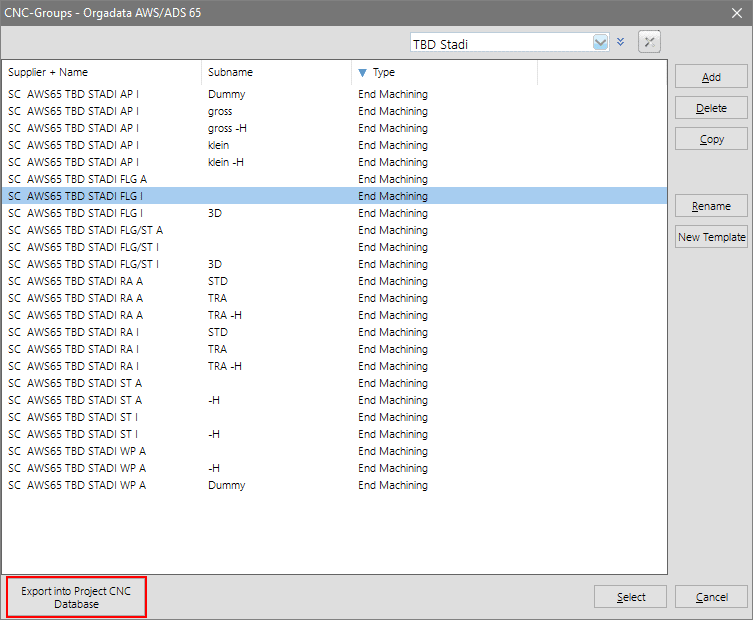 Click „Project“ > „Project CNC Machining“ in the project center’s file menu. Under „Project CNC Machining“ you will here have the same functions available, that you are familiar with from the global CNC machining. In order to use the project-related machining go to „CNC Machining“ in the input of elements. Select the according profile by double-clicking. Click „Import“ in the toolbar. Activate the option „Display all Machinings“ in the import window. 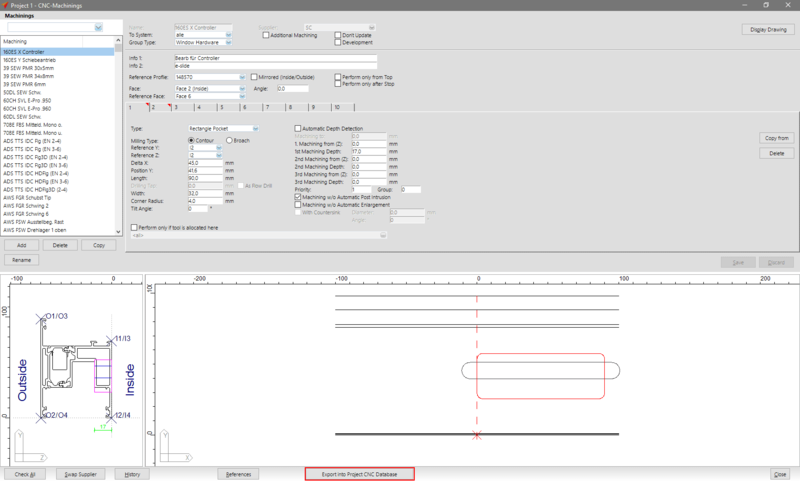 Select the project-related machining and click „OK“. 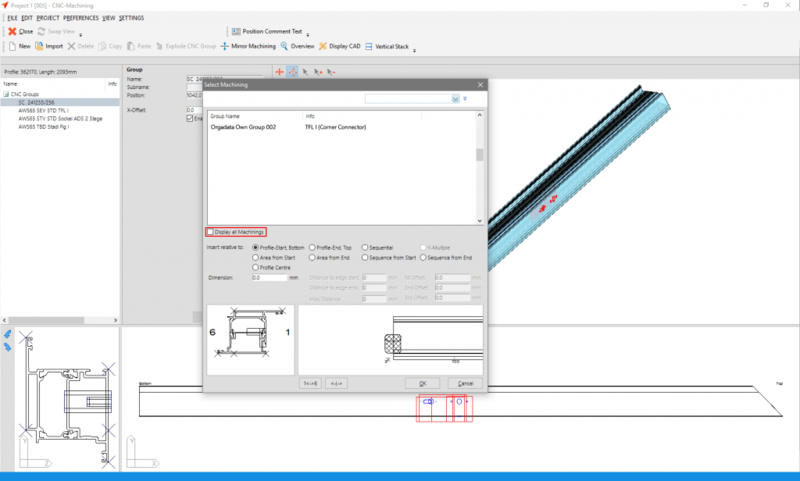 Individual machining groups, which are only needed for one project, can now be created project-related. Thereby individual solutions remain project-related and the database of standard groups maintains its clarity. 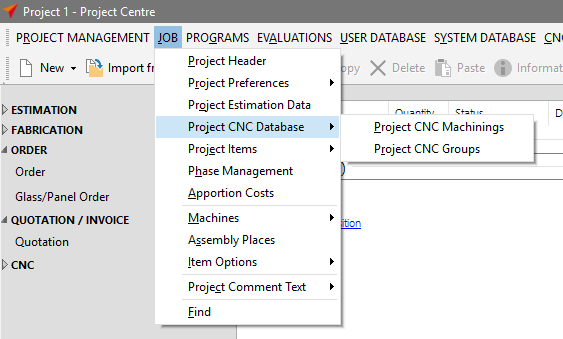 Click „Project“ > „Project CNC Database“ in the project center’s file menu. 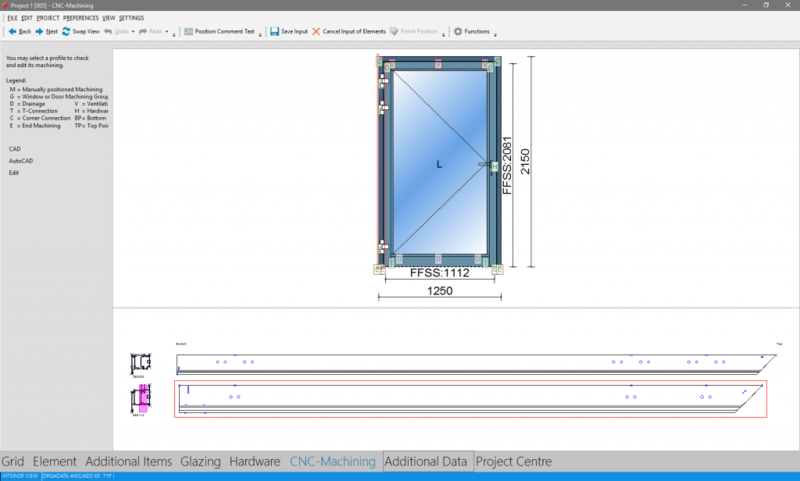 Under „Project CNC Groups“ you will here have the same functions available, that you are familiar with from the global CNC database. Create a new project-related group and enter the group properties. In order to apply the project-related groups, go to „CNC Machining“ in the input of elements. Select the according profile by double-clicking. Select the project-related group and click „OK“. Machinings which you require in your current project and which are already available per standard, or have been created in another project, can be imported directly into the current project. With that you simplify working with project-related machining significantly. Click „CNC Database“ > „Machinings“ in the project center and select your element’s series. 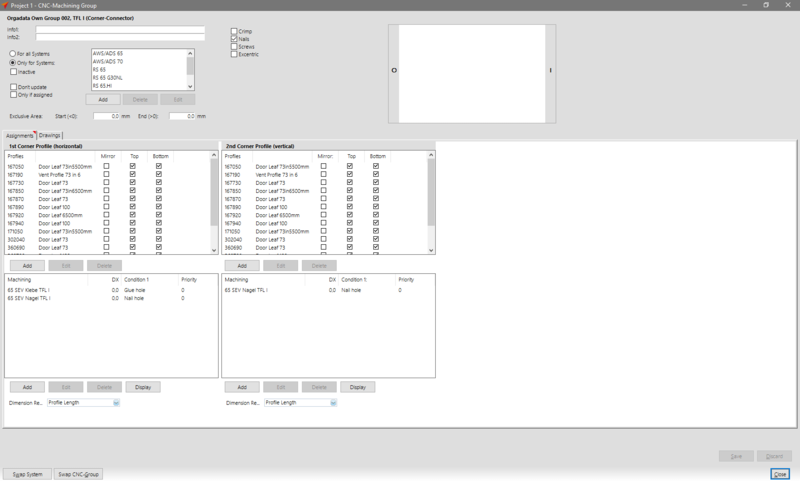 In the programme window’s lower area you will find the button „Apply to Project CNC Database“. By clicking, the selected machining will be transferred to the project-related database. 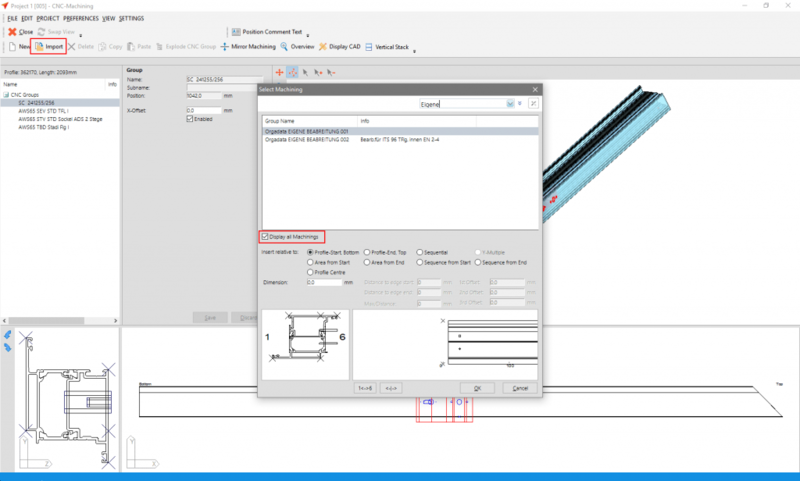 Likewise you can apply entire machining groups from the database of standard groups. Click „CNC Database“ > „Groups“ in the project center’s file menu. Select a series. 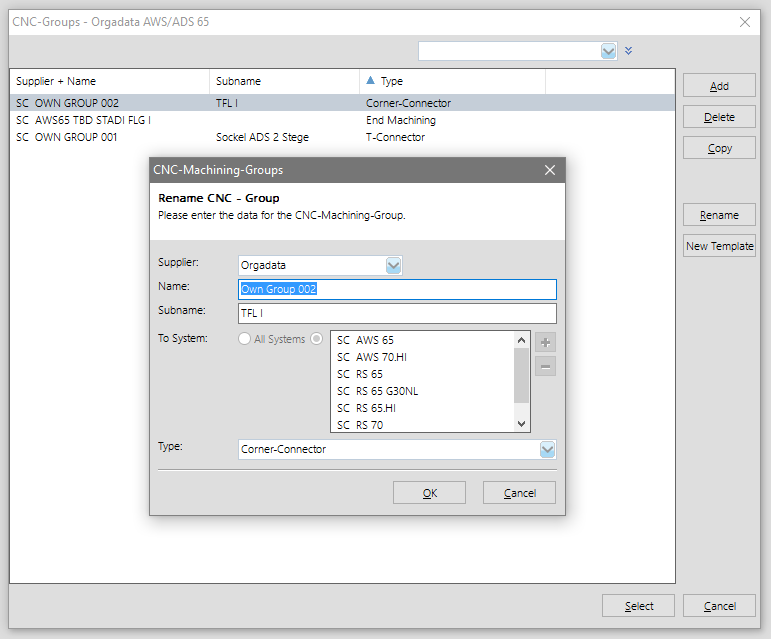 In the following window you mark the groups which you wish to transfer and click the button „Apply to Project CNC Database“.